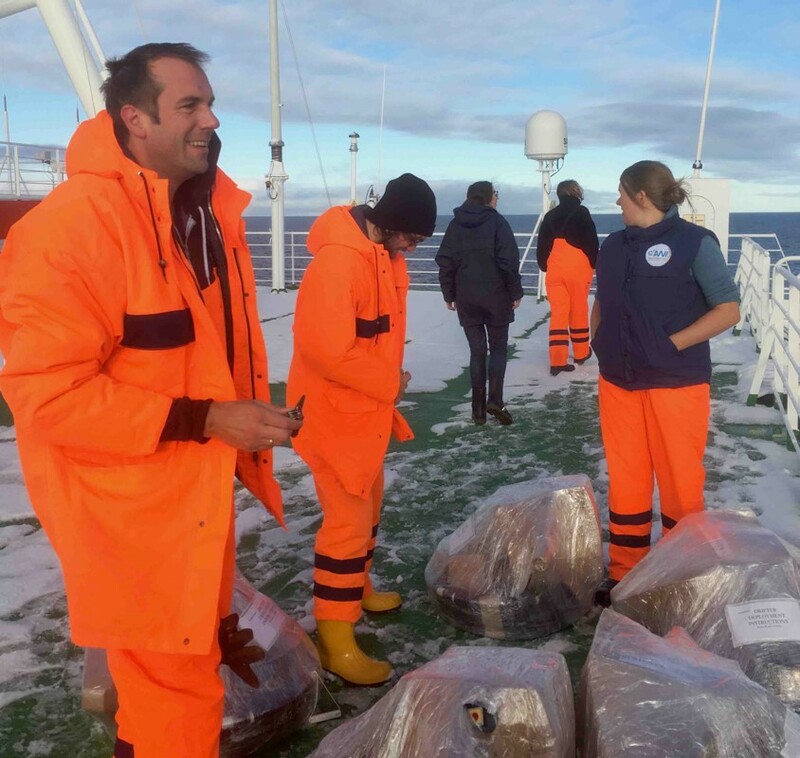 It is 4 days ago that I boarded the RV Polarstern. The sea is currently calm, which gave me the courage to start writing this blog post. I am Anouk Vlug, one of the ArcTrain PhD students that joint PS 115.2 expedition into the Arctic as a part of the ArcTrain Floating University. The main theme so far for me has been “being prepared”. This started already months ago, ranging from the (boring) paperwork, having the right things with you, being physically fine, to be ready for whatever might happen. All these things need to be okay before you can actually start with the science. In this process I went to the AWI logistics center to fit and pack the clothing for the expedition. I needed to get a full medical check, to make sure that I was physically fine to go on an expedition where at times the nearest hospital is days away. 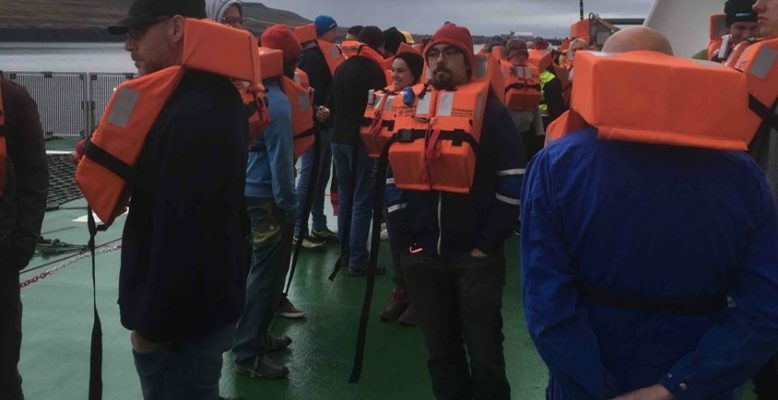 I participated in a polar bear protection training (https://arctrain.de/polar-bear-protecting-training/), to learn what to do in case you see a polar bear while being on the sea ice. I also followed a helicopter safety training, to learn about the breathing equipment that can be used when, in an unfortunate case, ending up with the helicopter underwater. Once on the ship the theme of “being prepared” continued. Before we set sail, we got different briefings and had a “bullen show”. The bullen show is a practice where you learn what to do when the general alarm or the abandon the ship alarm goes off: where to go, what to bring and which rescue boat is yours. Later on we met the ship doctor. He explained that in case someone ends up being in need of a blood transfusion, we can act as each others blood bank. We also had another helicopter training that focused both on the general routines of flying as a passenger on a helicopter and on what to do in emergency situations. These steps in the preparation were needed to be ready to start doing science in a safe way and to know what to do in the unlikely case of an emergency. In addition all the scientific experiments need to be prepared. Both parts of being prepared and getting things ready still continuing. Though today was a special day, I finally did my first observations. This was a part of the sea ice watch that we started after for the first time entering the sea ice, during which I saw a walrus and a polar bear! Though the theme “being prepared” might never end during this cruise, it is the science that is soon about take up a large part of my time. Really Nice post Anouk . Thank you for writing !